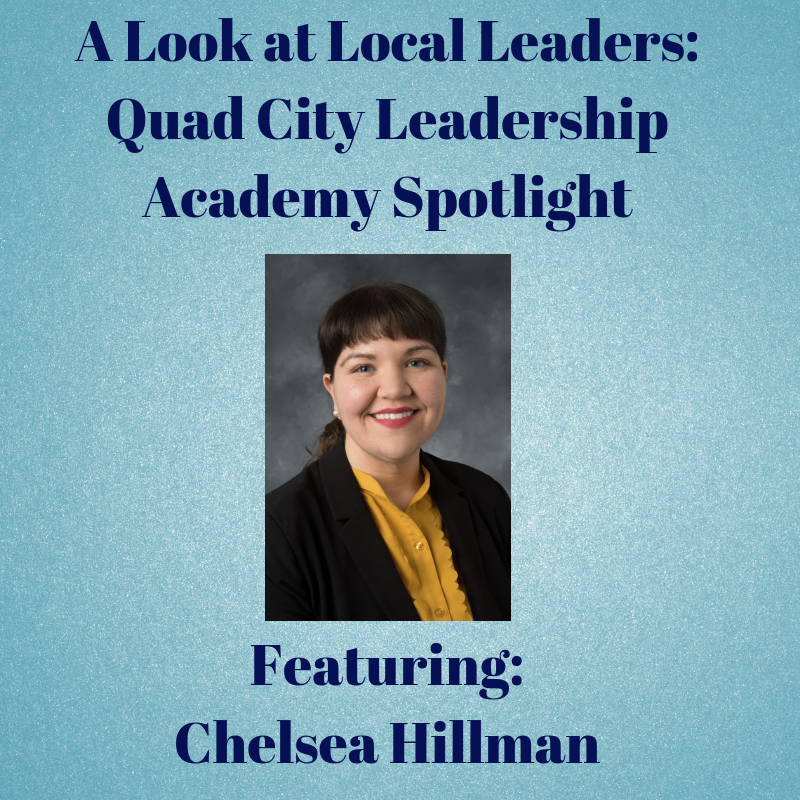 Today we hear from Quad City Leadership Academy Graduate, Chelsea Hillman, about her time in the Quad City Leadership Academy. I was the Director of Marketing and Communications at Integrity Integrated and now I’m the Director, Quad Cities, Professional MBA Program at The University of Iowa Tippie College of Business. From a community perspective, when I began the program I was mostly volunteering with nonprofits by serving on and chairing committees. After the program, I was asked to serve on my first few boards. I valued the opportunity to learn leadership theory and hear the perspectives and journeys of actual leaders in our community. The blend of working on your own leadership skills and hearing other’s approaches was unlike the leadership work I’ve done in the past. I think you’ll learn from not only from Ginny, the community leaders who speak with the group, but your fellow participants. There are several “ahas” I took away from the program that I still think about (and share with others) today! Are you interested in joining the Quad City Leadership Academy? The first meeting is January 25! Contact the Marketing Office at 563-359-1099 to find out more about the Quad City Leadership Academy or sign up today!